If you’ve been charged with managing your company’s P-Card program, you have been tasked with a rewarding, but challenging job. The reward is the improved cash flow inherent in P-Cards, but your whole job doesn’t have to revolve around maintaining this system and defending against fraud. So, here’s what your regular innate P-Card financial institution isn’t telling you: you can do less work and still get more from your P-Card system. How? With P-Card management software that should be your go-to purchasing card management solution. The banking tool provided to you for free could be a roadblock you don’t even realize is in the way to a simpler, more efficient system. If you’re still using the tool from your bank, you’re probably missing out on major innovations made in the expense management space that help prevent fraud. These are features that (because they don’t offer them) your bank might not want you to know about. Learn about the four advancements in P-Card management that improve compliance and keep your system tightly under control. A major advancement in the P-Card control environment is flexibility. Your organization is going to differ from another organization, even if you’re in the same industry, because of your company’s policies and rules. If you want to ensure compliance, you should be looking for a P-Card program management system that allows you to input your unique policies into the system so that the system can manage enforcement for you, rather than forcing you to use the generic rules allowed by your bank. Your banking system probably also doesn’t want you to know that you don’t have to manually manage DCAA compliance for government industries or SOX compliance. In the most innovative and intuitive control environments, these requirements come with the software straight out of the box. You may have third parties supplying data that helps support your processes and policy enfocement, like indirect tax recovery, denied party screening, and export, import, and financial trade compliance review providers. The tool you use to manage P-Cards should be able to collaborate with these sources, not only to ease the workload on you, but to make sure that mistakes aren’t being made when data is entered manually in the process control function. Errors cost not only time, but money when you have to go back to find the source of the error. Any decent P-Card control environment should also come with a full audit trail. You should have the power to make specific queries based on your exact needs. A general audit tool may or may not be provided by your bank, but if you want complete control, you should be able to not only make changes to your policies as your company changes and grows, but you should be able to use the auditing tool to see who made those changes and when. Complete audit logs are an absolute necessity for complete visibility throughout the P-Card transaction lifecycle. Are you getting the most out of your P-Card program? 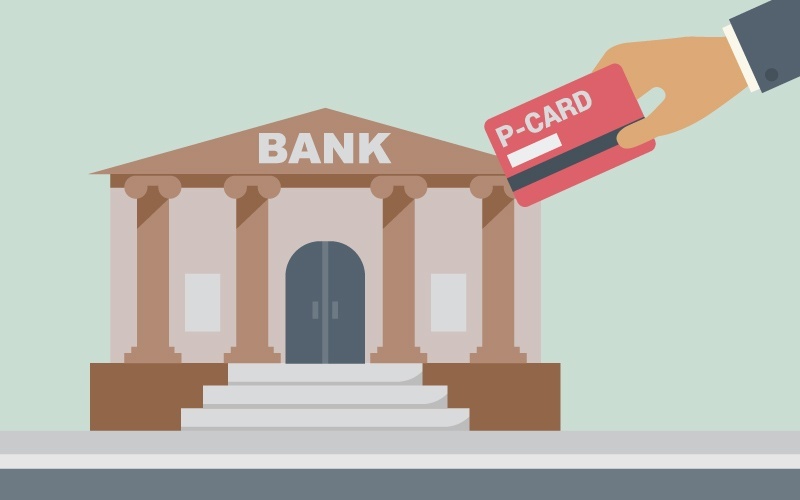 If your banking solution does not provide you with flexibility, automated compliance, third-party rules enforcement, and the full range of auditing tools, you might want to take a look at other options for P-Card program management. DATABASICS provides an unsurpassed solution for all customers, whether a lean team of 10 or a robust group of 50,000. Regardless of size or the complexity of requirement, P-Card program management provided by a company like DATABASICS will meet your objectives and requirements in a rollout that marries best practices with an automated software solution.